Nowadays, most businesses have a website, but do you know the real value of having a website for your business? 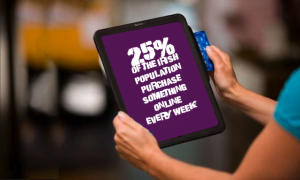 Ireland’s e-commerce industry is expected to double in value to €14.1 billion in the next four years, and at the moment 25% of the Irish population purchase something online every week. So, how can having a great website really help you to make sales? One of the main reasons why you should have a website for your business is that customers want, and expect you to provide them with information about your business online. In a recent survey, 83% of Irish people said that they expect a business to have a website in 2019. Having a great website is the best ways for consumers to find you, and learn more about your brand and make the sales that you need. 65% of consumers in the same survey said that they actually want to be able to browse and research products online from their local high street shops. 60% of people said that they would actually shop with a competitor for the same product if they couldn’t find their local business online- so this actually proves that you will be losing sales if you don’t have a website! On top of this, having a website will actually help you to boost sales, Small Enterprises (SMEs) gain on average 22 additional jobs or sales throughout the year when they have a website. The average value for these jobs/sales that come through the website is on average €1,089 or €24,000 per annum. Small Enterprises that are based in Dublin are in luck, as they receive the highest number of additional jobs (41) followed by the rest of Leinster Area (16). If you are in an area that receives less sales, the great news for you is that a refreshed or new website is bound to make you stand out from local competition. Having a website is also a great way to advertise. If you have ever advertised your business through printed media, radio, or television, you’ll that it’s expensive. Investing in advertising may be necessary, but by having a website, you will find that promoting your company less expensive, as people can easily search for you. By having an e-commerce website, you will also be able to drive any future advertising to your website, and make direct sales as opposed to people not having a place to buy your products online. Still not convinced? Take a look at your fellow enterprises in Ireland. 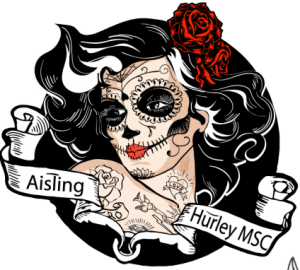 In a recent survey carried out by marketing professionals on Small Irish Enterprises, researchers found that tech-savvy SMEs took home an extra €24,000 per annum by selling their products or services online. Also 85% of SMEs with websites say that having a website is vital for generating new customers and sales.